Up to half the price of other suppliers! Our aim is to offer high quality life science tools at prices so low that as many researchers as possible will be able to afford them. Check our price comparison table to see for yourself! Selective group I mGlu receptor agonist. Induces LTD.
(R,S)-3,5-DHPG is a selective group I mGluR (mGluR1 / mGluR5) agonist. (R,S)-3,5-DHPG stimulates phospholipase C (PLC) response and inhibits phospholipase D (PLD) response. (R,S)-3,5-DHPG also induces LTD in the hippocampus. The active enantiomer of DHPG: (S)-3,5-DHPG is also available. Pharmacological characterization of metabotropic glutamate receptors coupled to phospholipase D in the rat hippocampus. Pellegrini-Giampietro DE et al (1996) Br J Pharmacol 118(4) : 1035-43. The group I mGlu receptor agonist DHPG induces a novel form of LTD in the CA1 region of the hippocampus. Palmer MJ et al (1997) Neuropharmacology 36(11-12) : 1517-32. Interaction of DHPG-LTD and synaptic-LTD at senescent CA3-CA1 hippocampal synapses. Kumar A et al (2014) Hippocampus 24(4) : 466-75. 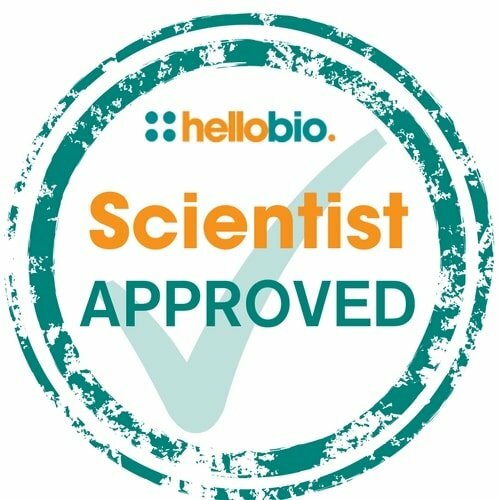 The following papers have cited the use of (R,S)-3,5-DHPG (HB0026) from Hello Bio. If you have published a paper using this product, and it is not shown here, then please tell us! We will send you a free gift as a thank you! mGluR-LTD at Excitatory and Inhibitory Synapses in the Lateral Habenula Tunes Neuronal Output. The Probability of Neurotransmitter Release Governs AMPA Receptor Trafficking via Activity-Dependent Regulation of mGluR1 Surface Expression.